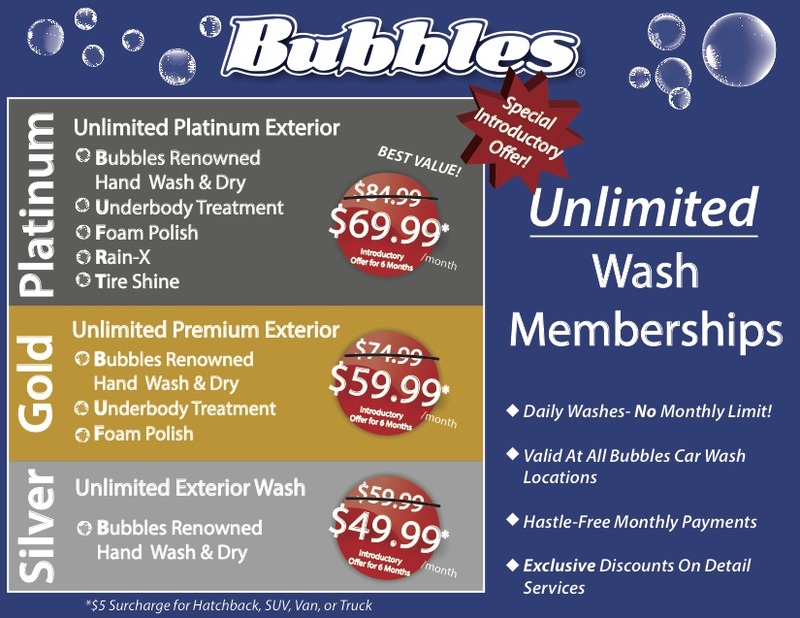 We now offer UNLIMITED Wash Memberships! Get UNLIMITED washes for one low monthly price. You can wash your car whenever you need, however often you want, for a flat monthly price! as a member. You’ll receive a membership card, which you scan each time you visit us. What type of wash is it good for? Stop in to any Bubbles Car Wash & Detail Centre to get signed up!